The first and the most popular in the Brier Hospital series: If you believe that television, movies, or medical fiction, accurately portray what it's like to be an acute care physician or a critically ill patient in a hospital today, think again. Dr. Joseph Polk is an intelligent, charismatic, and powerful member of the medical staff at Brier Hospital in the San Francisco Bay Area. This once brilliant physician, a functional psychopath for most of his career, has decompensated. Nurses and front-line physicians see Polk's indifference, incompetence, and stubborn cruelty, but the medical staff and the hospital administration are willfully blind. Patients suffer, and worse. Jack Byrnes has finally completed his training in Intensive Care Medicine and joins Brier Hospital's medical staff. 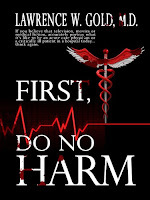 Jack has been well trained to care for patients, but he's woefully unprepared to deal with Joe Polk, the medical staff, enraged nurses, and the hospital's administration. 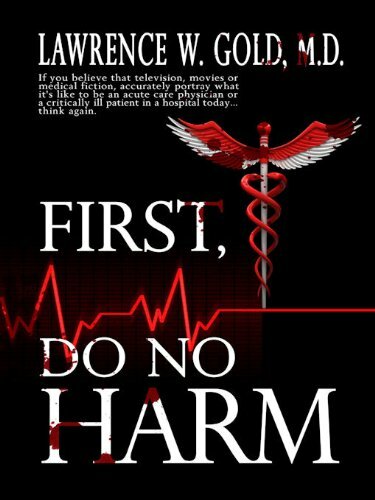 The strength of First, Do No Harm lies in the authenticity of the medical setting and the struggles of patients and physicians. Joe Polk is a very different kind of villain. After School: Is Getting an MBA Really Worth It?